When planning your trip to Buenos Aires and thinking about your accommodation options, a short term apartment rental could be the way to go. Why? 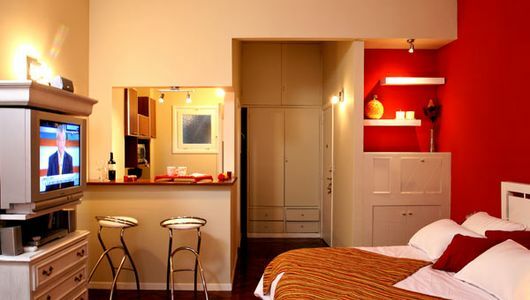 Well, if your choices are to pay top dollar per night at a luxury or design hotel, or the same price or less per week for a luxury apartment rental in Buenos Aires, with the same high levels of quality, comfort and design, suddenly the apartment option appears to be the most sensible. Yes, hotels have much higher levels of service and convenience than apartment rentals cannot offer, but if that is not the most important factor for you when choosing accommodation, then a short-term apartment rental wins hands down on value. You’ve probably all heard of AirBnB before, and in Buenos Aires it has now also become a great option for renting an apartment short-term, with the peace of mind and ease of reservation that renting through AirBnB gives you. Here is a link to the AirBnB page for Buenos Aires rentals. Also, in our opinion, one of the best apartment options for 1 or 2 people in the desirable neighborhood of Palermo Soho (probably the most popular area to stay in the city, and with good reason), is this place owned by some friends of BuenosTours, Maya & Tom. It has the best interior decoration and use of space of any studio apartment that I’ve seen in Buenos Aires, a killer location, and the owners plus apartment manager are very pro-active and helpful. Highly recommended. AirBnB Bonus – Free Money! If you are new to AirBnB and sign-up for an account with them using this link – you’ll get US$25 credit to use against an AirBnB reservation. From personal experience, one of the most reliable apartment rental companies in Buenos Aires, with the biggest and most varied selection of apartments on offer (from cheap to expensive) is ByT Argentina. Best of luck in your apartment search! 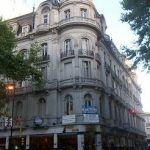 Buenos Aires Long-Term Apartments Hints, tips and online resources to help you in your search for a long term apartment rental in Buenos Aires, which will be important if you are looking to expatriate yourself here for longer than 6 months. Five Buenos Aires 5 Star Hotels… Experience the lap of luxury and visit 5 of the best hotels in Buenos Aires - without ever checking in! Use these tips to enjoy top-of-the-line service and design while avoiding the steep cost of a room. Four Seasons Buenos Aires Hotel The Four Seasons is equidistant between the heart of Recoleta and the Microcentro, and so it is within walking distance of many major attractions, including Recoleta Cemetery, Teatro Colon and The Obelisk. 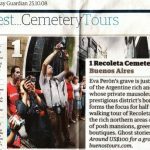 Recoleta: Best Cemetery Tour in the World BuenosTours was named as giving the best cemetery tour in the world by the Guardian newspaper, one of the most respected dailies in the UK, for our walking tour of the famous Recoleta Cemetery in Buenos Aires. Buenos Aires Videos Get a video preview of the city of Buenos Aires on the Geobeats website. 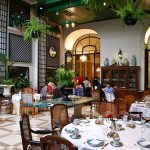 Here you can check out videos from around the more famous areas of Buenos Aires, including spots on hotels, restaurants and museums. stunning photos! I will surely put Buenos Aires in the list of my destinations for next year. thanks! I have been enjoying your website for a few days and I am going to be travelling to BA Nov 29 to Dec 9, and really want to do tango lessons while there for a week and then go to Iguassu Falls for 2 or 3 days before departing. I have been in touch with 4 Stars and with Kon Tiki and both are wanting to book us into Mansion Dandi Royal, which is probably great for the tango lessons, but I worry about being in San Telmo and having to go out for supper, milongas, etc. and worry about our safety after dark. Is this a good place to stay, and do they do good tango lessons? My other alternative is to rent an apartment for a week and book tango lessons separately, which may work. Do you have any recommendations for someone to provide tango lessons? Also, for our tango purposes, is there an area of BA that is preferable and safe? Thanks for your help. Do any short term rentals accept pets? Is it difficult to find a company that will cater to customers with small dogs? Everything I read about your outfit sounds great. However I have a few cncerns. I want to be on, or very near Av. Santa Fe since I have to use a walker to get around. I prefer being near a bus route so that I can visit different parts of the city. I’ve been to B.A. before and now I will be flying in and staying a week ( arrive Jan. 2,2009) before boarding a Crystal cruise ship on Jan 9, 2009. Do you have a studio apartment (just me) that is safe and near a bus route? Please advise. I am a senior lady in her 70’s. 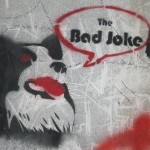 I have been looking on line for days, trying to find a nice apartment in the Recoleta area. My husband and I are in our 70’s, an have travelled a lot. We want to stay in Buenos Aires for a week prior to a South American cruise. Arriving in BA Feb 22/09 – leaving Mar 1/09. We would like a balcony, twin beds, washing machine and lock box. We would be happy to pay up to $400.00 for the week if that is all inclusive, including administration fees.